We’re going to take a brief detour from the beer world and dedicate an item to our all-time favorite band: R.E.M. [though beer does get a shoutout]. 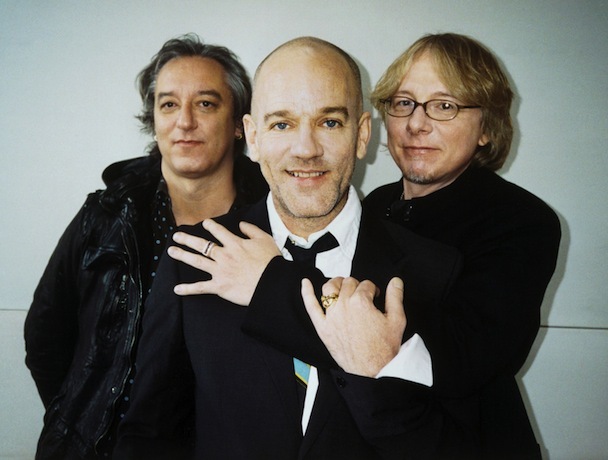 On their last three world tours, Michael Stipe welcomed fans with the declaration, “We’re R.E.M. and this is what we do.” These days, three years after their amicable dissolution, their motto could be “We were R.E.M. and this is what we did.” A few months ago, they cleared out the audio vaults with the digital release of 50 rarities from their I.R.S. days [1982-’87] and 131 semi-obscure tracks from the Warner Bros. era. 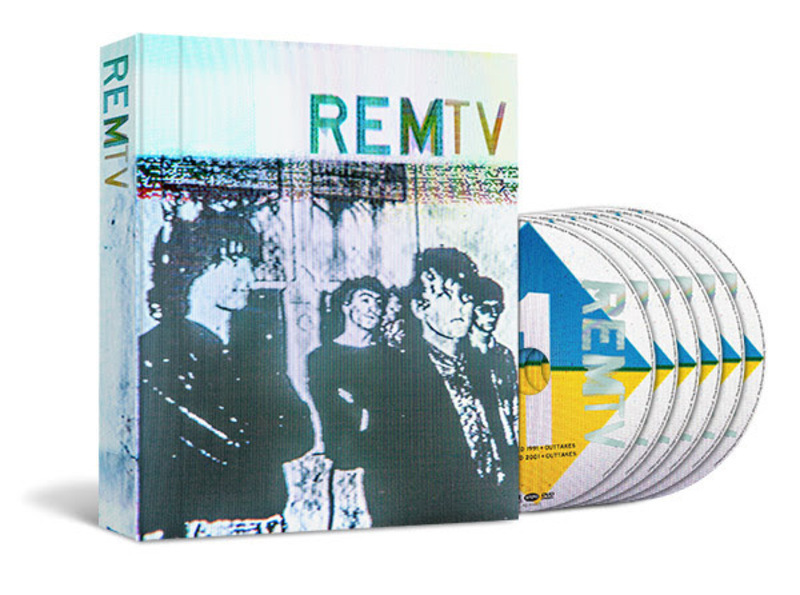 Now they’re serving up REMTV, a six-DVD box set encompassing three decades of material from MTV, bursting with live shows and related coverage — anchored by a terrific new documentary, R.E.M. By MTV. The party led to a remarkable career — from textbook indie rockers to one of the biggest bands in the universe — which is masterfully rendered in R.E.M. By MTV ’s 105 minutes [culled from more than 1500 tapes by director Alexander Young and editor David Leopold]. All the touchstones of the band’s resume — and parts of 80 songs — are highlighted: the perpetual touring, the boost from college radio, the critical support [Rolling Stone cited Murmur as the best album of 1983, above Michael Jackson’s Thriller and U2’s War], the transition from small rooms to enormous spaces [which forced Stipe to perfect the “stadium gestures” he had joked about when the band was playing to hundreds instead of thousands], and using their fame to espouse causes [environment, pro-choice, handgun control, Rock the Vote]. The doc takes a bit of a Behind the Music turn [without the sordid drama] with Berry’s departure in 1997 [two years after having a brain aneurysm at a concert in Switzerland] and the remaining members’ subsequent lack of focus on their next three records, before their artistic rebound on Accelerate and their final disc, Collapse Into Now. Each step is soundtracked with excerpts of compelling and masterful live performances. In most of the interview segments, the band is self-deprecating. Guitarist Peter Buck notes, “People tend to think of us as this mystic art band [makes praying hands, looks to the sky] — ‘Please, give us another record!’ — when in fact we’re just four guys,” and Stipe says, “It’s just a pop band at the end of the day. It’s just a rock show, after all.” But beneath the pooh-poohing, it’s clear that they are genuinely proud of their musical alchemy. The story is told chronologically but the insights crosscut through the years — for instance, a reflective 2008 Stipe quote echoes the notions of bassist Mike Mills musing about the band’s potential in the mid-’80s. After a private screening of R.E.M. By MTV in NYC on November 6, Mills said, “I feel like I just watched myself being born again.” Longtime fans will be captivated by the band’s baby pictures and graduation to the big time, and the documentary should convert viewers who missed out on the band’s thrilling ride. REMTV [list price $100; Amazon has it for $75.39] will be released on Monday, November 24. 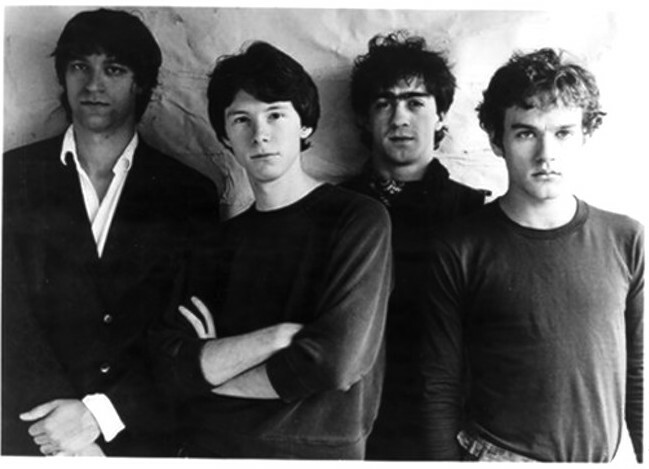 But you can see the best of the box for free: R.E.M. By MTV will debut on Palladia and VH1 Classic on Saturday [11.22] at 9 pm EST [with an encore at midnight on Palladia; other options: on Palladia on Sunday 11.23 at 1 pm, Monday 11.24 at 11 pm, Wednesday 11.26 at 4 pm; on VH1 Classic on Sunday 11.23 at 3 pm and midnight, Monday 11.24 at 2 pm, Wednesday 11.26 at 8 pm]. Set your DVR — this one’s a keeper!